Jungle Jack's Landing is a small amusement park attached to and owned by the Columbus Zoo and Aquarium off of Riverside Drive in Columbus, Ohio. The park has 16 rides or attractions total to give fun and memories to everyone. 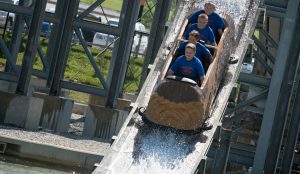 The water park, Zoombezi Bay also made its debut in the 2008 season. As of the 2010 operating season, all rides are no longer "pay per ride" and instead require a wristband that allows unlimited rides, both at the zoo and Jungle Jack's Landing. Save $5.00 by purchasing online! Note to our visitors Jungle Jack’s Landing coupons and specials can change without notice. So please visit their official website to make sure of the latest pricing and coupons.